NEW for 2015 is our Antiquary Whisky Crate complete with Walkers pure butter shortbread and highland oatcakes. 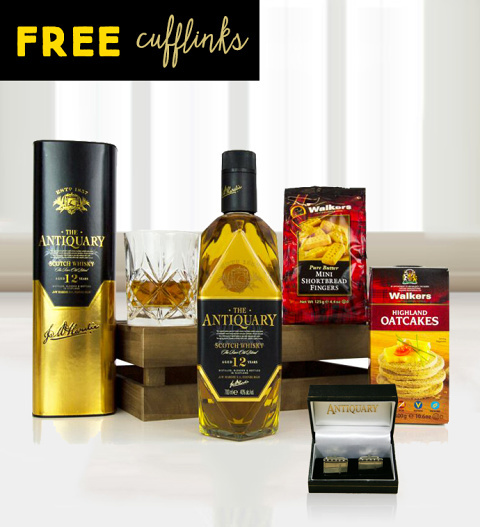 This is the perfect gift for those who enjoy delicious whisky. The Antiquary whisky is a smooth 12 year old malt by Jim Murray, an award winning whisky. This gift is presented in a wooden traditional crate and is available for UK next day delivery.